We know that alterations in hemodynamics do not only occur in hemorrhagic shock. Both obstructive (such as from tension pneumothorax) and neurogenic shock (for example, from a spinal cord transection), can result in hemodynamic compromise that would not be corrected by blood product administration. There have been some studies that have shown isolated traumatic brain injury (TBI) can also cause hemodynamic derangements. This article looks at a paper which attempts to examine the incidence of cardiovascular instability in patients with TBI. We train for it, we have a healthy fear of it, and we realize that having to perform one is not an admission of failure on our part. But, how often is a cricothyrotomy performed on HEMS. Dr. Andrew Cathers of University of Wisconsin Med Flight walks through a recently published paper on the topic. 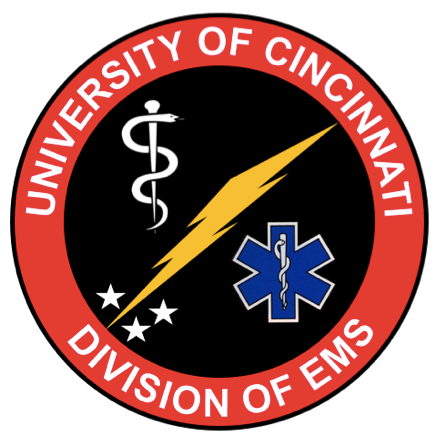 The UC Division of EMS has recorded a series of podcasts to celebrate EMS Week 2016. We are honored to be able to engage EMS Providers throughout the world with this forum. If you practice pre-hospital medicine, we would like to say thank you and that we appreciate everything you do to provide a high level of care to ill and injured patients in a wide variety of austere environments. For this podcast, we were joined by Dr. Tim Smith, an Interventional Cardiologist and Director of the Cardiovascular Intensive Care Unit at the University of Cincinnati Medical Center. Dr. Smith joined us to discuss our region’s partnership with the American Heart Association’s Mission Lifeline program to bring a regionalized system of care for STEMI patients to our area.